Sustainability is all the rage today, and for good reason! Creating more self-reliance in your life brings more freedom from unfulfilling jobs, stress and debt. Regardless of where you live or what season of life you find yourself, there are ways to be more sustainable every day! 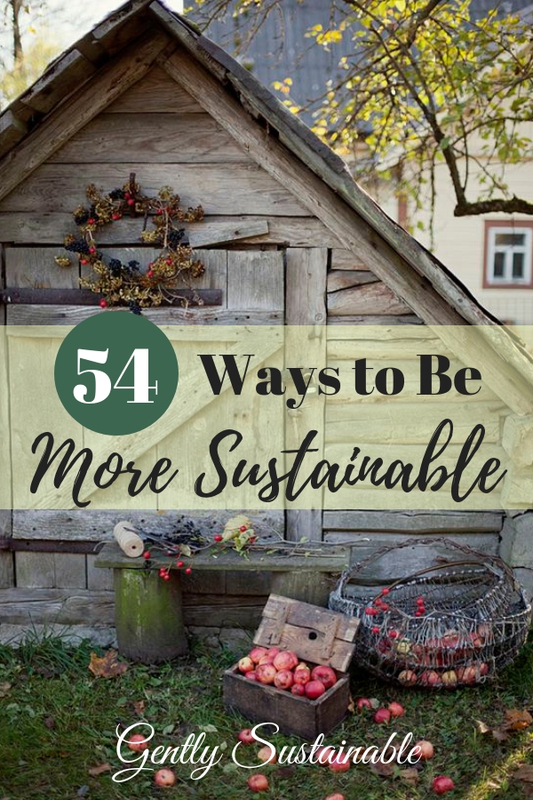 Here are “54 Ways to Be More Sustainable”! 1. Take inventory – What do I mean by “take inventory”? What I mean is to take a look around at what you have access to where you live. It doesn’t matter if you live in the city or the country, or somewhere in-between, you can be more sustainable. So, if you live in an apartment, do you have a south-facing window where you could grow some herbs and veggies? Could you bike to work or to shop and eliminate the need for your car? 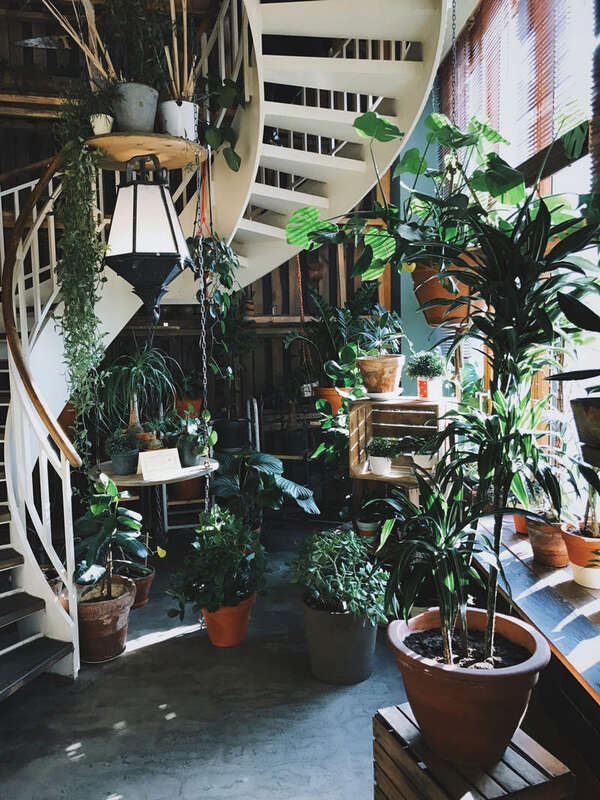 Do you have a balcony to grow things? How about a community garden? Perhaps an unused wall to put a fish tank and raise your own fish to eat and sell? Maybe you don’t have any of that, but you’re a great seamstress and have a sewing machine. Or maybe you’re great at web design. You could trade and barter for what you need! The key here is what you have access to and your skill set. You have more talent than you give yourself credit for. 2. Grow food – You don’t need a large property to grow some of your own food, this is a real misconception. Our grandparents grew food in windows and in their landscaping as a regular habit. Lots of towns offer community gardens! As you take inventory of where you live, remember that all you need is some dirt, water and light. The conditions do not have to be ideal or perfect. Just start! 3. Learn to can and freeze – Preserving food is a skill set that takes time, so be patient with yourself and start from the beginning. Proper tools and supplies are very important, and will set you back a few dollars. However, once you own a canner, jars and supplies, you will have them pretty much forever! You can reuse the jars year after year. Just exactly how do you learn to can? I was fortunate enough to live next door to an older lady years ago who was willing to come over and sit in my kitchen to teach me. She didn’t walk well, but was very excited that a younger woman was interested in canning. Reach out and ask, you never know who might be thrilled to teach you. Your local extension office is another place to call for canning classes. You Tube is always good, too! Don’t get discouraged, keep at this until you are a pro! 4. Cook from scratch – I didn’t learn to cook growing up. If you were lucky enough to learn how to cook from a mother or aunt, good for you, rock on! You will already know how to do this, just eliminate the processed food from your kitchen and crack open the cookbooks! For those you who don’t have a clue (like me), I will first recommend that you find that person in your life who loves to cook! They would be the very best person to get you cooking and teach you some basics. I’ve heard women tell me that they learned to cook from cooking shows, that could be good. Of course, YouTube has plenty of videos about how to cook. Libraries and extension offices are another option, too. Remember that cooking is an art and takes time to perfect, even years. Don’t get discouraged and don’t be hard on yourself. Start with simple things and you’ll be on your way! How to Stock Your Pantry for $5 a Week! 5. Keep and maintain a working pantry – My pantry is like a savings account. If I don’t have time to go to the grocery, I always have the staples I need on hand to make a meal. A working pantry will keep you from eating out as well! When you begin growing some of your own food, you’ll be doing more canning and freezing. This is one way to make your pantry grow! Another is to catch things that you use every day on sale, and buy a few extra. We’re not talking about doing anything crazy like buying a truckload. Just begin to buy one extra of the staples your family eats everyday, when you can afford to. 6. Invest in good cookware – People who are close to me know that I’m a miser and hate to spend money if I don’t have to. However, there are a few things in life that you should spend good money on, because they are so important to your health and well-being. One of them is good cookware. Please, for the love of all things good, please don’t cook on cheap aluminum cookware! There are so many health risks with aluminum! Save up if you have to and invest in good quality stainless steel pots and pans, even baking sheets. Cast iron is nice too, but if you’re starting from the beginning, go with the stainless steel. Buy one piece at a time if you have to. I still have a set from 17 years ago that I bought new, and it’s barely worn at all. It’s an investment! 7. Make use of all leftovers – Did you know that over 40% of our food goes to waste? That’s almost half! Learning to manage and serve your leftovers will save you a ton of money on feeding your family. 8. 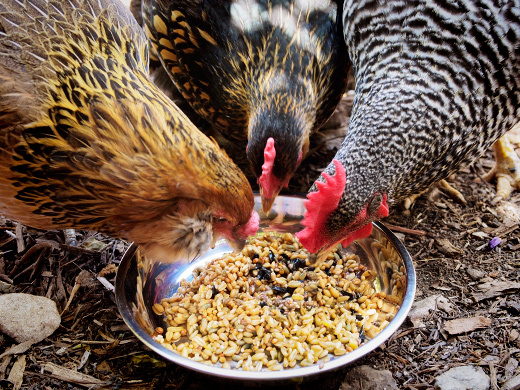 Keep a few chickens – Things have changed with regard to backyard chickens! Many cities and townships are allowing 4 hens to be kept in city lots! BackyardChickens.com has a great link to see if you are able to keep chickens, or how to change the ordinances in your area. With 4 hens, you’ll have about 4 eggs per day, how awesome would that be?? More about raising chickens is here as well as on my Pinterest page. 9. Make bread – You can make a great loaf of bread for less than 25 cents! Bread making isn’t that hard, once you get the hang of it. If I can do it, YOU can do it! Here’s a couple of simple, but fabulous bread recipes as well as my Bread Making Pinterest board. 10. Learn how to garden – Let me differentiate between “growing food” and “learning how to garden”. Learning how to garden encompasses composting, mulching, companion planting, etc., truly understanding what’s happening in your soil and how to improve it. Once again, this takes years to learn and understand, but start. 11. Eat what’s in season – Eating seasonally doesn’t come naturally for us. We are so used to eating food that’s been shipped from all over the world, most of us don’t even know what’s in season where we live. There are some great books that will not only educate you as to what food grows in your season, but have awesome recipes for them while they’re fresh! Food that is “in season” always costs less at the store and is often advertised as the loss leader on the front of that week’s ad. This is also an excellent opportunity to stock up on what you love to eat and take it home to can or freeze! See that pantry growing? 12. Invest in perennials – I love my perennials! They come back every year without fail! If you have a corner anywhere that you can plant some asparagus, rhubarb or some raspberry canes, it will be totally worth it! Here’s more about perennials and why they’re so important to a sustainable food supply! 13. Plant fruit trees and vines – Whatever this looks like for you and your situation is fine, just do something. 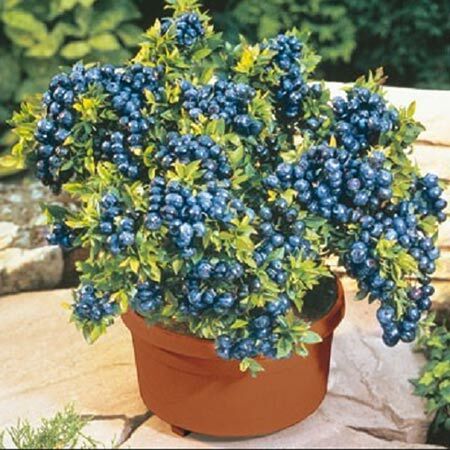 If you live in the city, you can grow dwarf trees in pots. Dwarf trees work nicely in the suburbs as well! Fruit trees take about 5-7 years to produce fruit, depending upon what type you get, so this is an exercise in patience. But, once you have your tree(s) planted, you can go on to other things while you wait. Also, please don’t waste your money on cheap trees, here’s where I buy all of my fruit trees. I’ve pulled up more dead trees that I didn’t pay much for, not worth the time spent! 14. 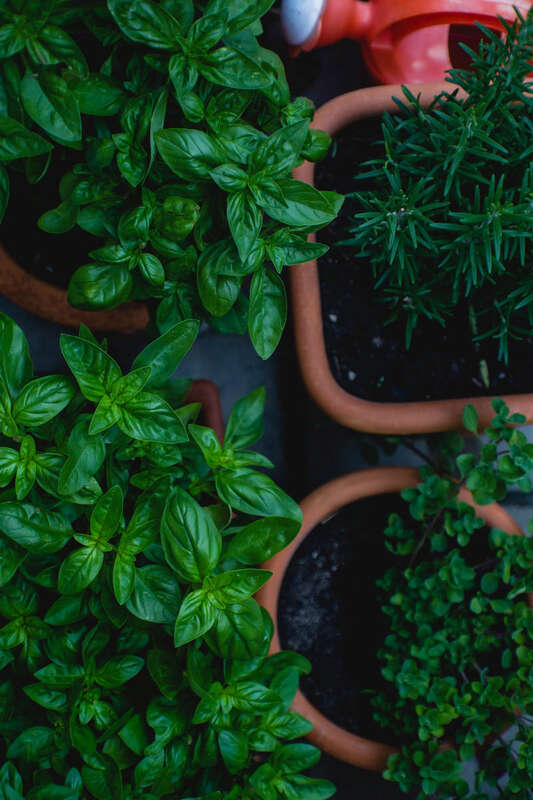 Learn about and grow your own herbs – Learning about herbs, how they work and what they can do for you and your family is totally worth the time and money! I’ve studied herbalism for many years now and still find it fascinating! The Herbal Academy offers amazing herbal classes that you will love! The Herbal Academy offers classes for beginners, intermediate, advanced and entrepreneurial herbalists! Take a peek at this Introductory Herbal Course Lesson preview, it sells itself. 15. Learn to dehydrate food – I really love dehydrating, especially in the summer! There always seems to be a bumper crop of something, more than I can freeze or can at one time. I use my Excaliber dehydrator all the time and has been one of my best kitchen investments. 16. Make a habit of foraging – The thought of foraging might seem a little weird to you, but let me tell you, it’s amazing! Learning to recognize just a handful of wild edibles in your neck of the woods is so empowering! Check out my post about foraging here or my Pinterest board…or both! 17. Learn to hunt or fish – I’ll admit, this is an area I really want to grow in. I’m so envious when it’s deer season around here! Venison is such wonderful meat! Fishing is awesome too, but this is going to depend on where you live and what you have access to. Here’s where another hunter or fisherman would be the best teacher! I hope to tag along with my father-in-law to go deer hunting one of these days. Most children were taught how to hunt and fish as a matter of survival just a couple of generations ago – how did we get away from that? We can bring those skills back, and teach our children how to hunt for food. Your state’s “Park and Recreation” department or “Division of Wildlife” should prove to be helpful in finding classes on hunting. 18. Consider aquaponics – I’ve read about people who grow tilapia using large fish tanks in their apartments, and then sell to local restaurants. What a cool way to sustain yourself and make some income as well. Hopefully, this is will get your wheels turning to check out the hidden potential of aquaponics! 19. Raise livestock – Raising livestock is can be an effective way of providing food for yourself and your family. Be careful and do your research before you buy, however, rabbits and chickens would be where I would begin if you have no prior knowledge or experience with livestock. I would even go so far as to suggest shadowing someone who works with the animal you would like to raise. Here I discuss my decision to “rent” 2 alpaca for a year and what I learned. Extension offices and 4H groups are excellent ways to learn about livestock! 21. Learn to trade and barter for what you need – Believe it or not, there was a time when bartering for goods and services was more common than paying with paper money. During the Great Depression, when few people had money, trading and bartering was common. Funny thing is that it’s back in style! I’m reading on financial websites that even physicians have been known to trade medical advice for web design and home repair. Of course, you’ve got to find folks with the same mindset. This is something I’m always on the lookout for. Don’t be afraid to put it out there, what do you have to lose? 22. Find ways to make income from home – Let me lay some truth on you here. There are people who think that if you can produce most of your own food, you won’t need money anymore. NOT true. Even if you are spiffy enough to create your own energy and fuel, you’re still going to need some income. 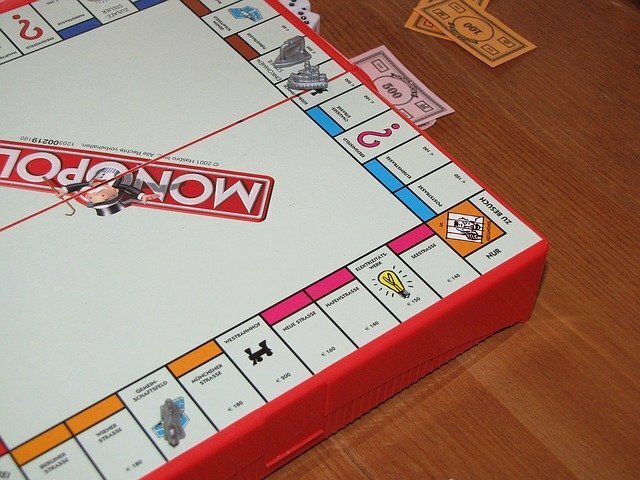 Fortunately, there are zillions of ways to create income at home these days. Here’s a website that I just love and have referred my adult kids to many times. Creating income from your homestead efforts is possible as well, but you really have to watch your expenses, here’s a good article on that, as well as my Pinterest board. Tons of ideas out there, find something that you enjoy and can make some money at. 23. 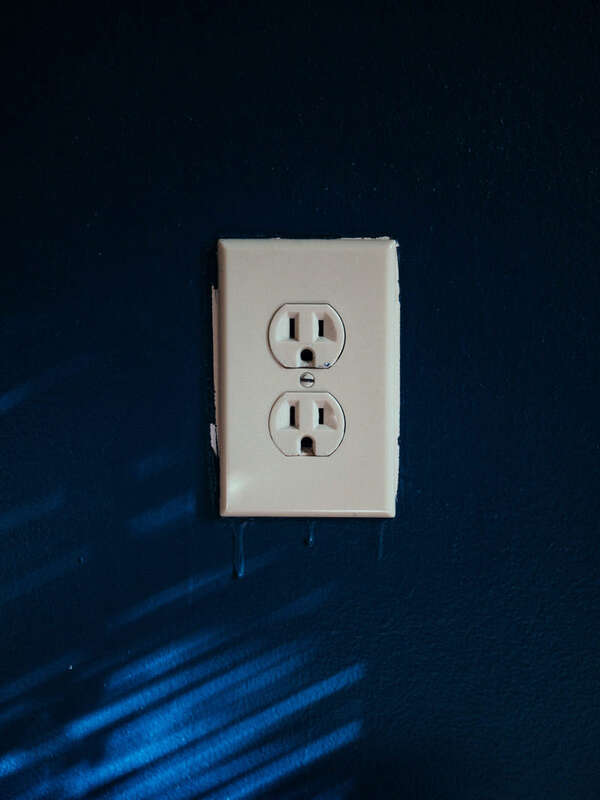 Reduce energy consumption – Reducing your energy needs is a critical first step to reducing your dependence on the grid! It’s also the first step before considering any type of alternative energy. There is no alternative energy system that will sustain an energy-hungry household. Take a look at your meter once a day, at about the same time, for a month. Jot down how many kilowatts you’re using a day. Note who was home and what was going on that day. Our usage is always higher on the weekends because the kids are home more, and often have friends over. Then take steps to reduce your use of energy-hog appliances, like stoves and dryers. Unplug everything that isn’t being used – it makes a BIG difference, believe me! 24. Convert to alternative energy – This will look different for everyone, depending upon where you live and what your budget is. If you live in a warmer, southern climate, then solar panels might be a good idea for you! Living in Ohio, solar is complicated and expensive. It’s cloudy here pretty much all winter. However, wood burning stoves make a lot of sense for us, as well as geo-thermal! Do some research and see what they can do for you, but ONLY after you’ve trimmed your energy consumption way down! 25. Unplug – We live in such an automated world, ever think about that? All the noise of TV’s and devices, refrigerators humming, cars going down the street…I think sometimes that we’re immune to it. Then when the power goes out for some reason, we just about lose our minds from the silence! Take time to “unplug” voluntarily, and get used to less noise. Sit outside and read a ‘real’ book, and leave your phone inside the house. Walk your dog and leave the phone at home. Unplug. Let your brain recover and remember what it was like before all of the automation. It can be very healing. 26. Use peak light hours – In my time studying the Amish, I found something very interesting about them. They live their lives and do their chores primarily by the sun’s rising and setting. Since they don’t use electricity, and because oil lamps are costly, they depend upon the sun for light. Amish women would never consider doing their detailed quilting at night, they don’t have the option of turning on a craft light. They do their quilting during the sunny hours. So simple, but profound! The streets of Holmes county are void of Amish folk past sunset, because they wouldn’t want to put their horses at risk at night. There are exceptions I’m sure, but if you ever visit, you’ll see what I mean. Try this in your life somehow and see how it works! 27. Consider wood heat – Heating with wood, whether it be with a fireplace, wood stove or outdoor wood furnace, is so crazy sustainable. I see free wood all over the place, and what excellent exercise to chop and split wood! Selling wood could be a great side hustle as well. 28. Ditch the dryer – Every Amish home has a clothesline out front. They hang out their clothes very early in the morning, I’ve often wondered if there was some sort of competition among them to see who could get them hung out first! They even hang them in the winter. We have the convenience of indoor as well as outdoor clotheslines, here’s more about how to get started with a clothesline! 29. Use a solar oven – When it’s scalding hot outside, the last thing anyone wants to do is to turn on the stove! I invested in my solar oven a few years back, and I love it! It gets a lot hotter inside than I thought it would. I’ve baked bread and made dinner easily in mine, love it! This is the only one I can recommend. 30. Invest in solar lights for your home – I love using solar lighting, especially in the summer when we have sun (I’m in Ohio, remember, the cloud capital of the world in the winter)! There’s a solar lamp by our back door that gathers sun rays during the morning, and then gives off a nice glow all night. I like to use solar lights outside as well! 31. Cook outside – Whether you use a propane grill or burner, this is a great way to train yourself to be more creative with cooking food! Pretend the power is out and cook everything for your meal on the grill. Build a fire and cook over that! Summer is such a great time to play around with this and have some fun! 32. Harvest rainwater – You can harvest rainwater a number of different ways, but probably the simplest way is with a rain barrel. With a couple of supplies and your barrel, you’ll be good to go. My extension office offered free rain barrels when you attended a class about how to use them! Rain water is wonderful for your garden and other outside chores! However, don’t drink it without a purifying system. 33. Make your own laundry detergent – I have made my own laundry with this recipe over a decade now . I’ve used it with top loaders and front loaders. I’ve used it in the city and with a septic tank. I’ve never, ever had a problem. It costs me about $3-4 dollars to make 10 gallons. I’ve saved thousands over the years! Check it out! 34. Take excellent care of what you own – If you want things to last, you have to take care of them. Whether it be clothing, shoes, lawn mowers or cars, they all need regular maintenance to keep working the way you want them too. How many replacement purchases have you made because you didn’t have the time to repair or maintain items? Yeah, me too. This makes a good argument for owning less! 35. Maintain all household systems like clock-work – Here again, the best way to keep from spending money on unnecessary repairs is maintenance! I have a little routine that I follow around here. The first of the month is when I do all of the animal’s worming, pour enzymes down the septic and change/clean the furnace filters. That way I know it got done! Set up your own system to keep things running smoothly. 36. Consider minimalism – “The More You Own, the More it Owns You!”. Not sure who said this, but it sure is the truth. More about minimalism here. 37. Reduce consumerism – We American’s are such consumers. We’re groomed from a very early age with cereal and toy commercials and work our way up to clothes, houses and cars later in life. It feels downright weird to not be in pursuit of purchasing something, that is, until you retrain your thinking. One of the best books I’ve ever read on the subject is “Your Money or Your Life” by Joe Dominguez and Vicki Robin. It’s an oldie but a goodie, you can get it from the library. Joe and Vicki lay out a compelling argument for how we trade minutes and days of our lives for material things…mind blowing stuff. 28 Day Journey to a Gently Sustainable Home: Use It Up! 38. Entertain yourself – We pay others to entertain us everyday, from TV and cable to movies to comedy clubs. Retail therapy keeps us distracted from our problems while we dig a bigger debt hole for ourselves. Staying out of places that cost money is a good first step. A good second step is to find ways to enjoy yourself at home. Some ideas include inviting friends over for a pot luck (everyone brings something to share), game night, cards, crafts, taking a hike or just hanging out! 39. Lose those bad habits – I’m not judging, I speak only from a financial point of view. Cigarettes, alcohol, vapes, energy drinks, lottery tickets…..they all cost money and give very little back. Actually, many of those rob you of your health. You can’t work towards sustainability if you don’t feel well! 40. Exercise more – Whatever this looks like for you, just do it. As hard as I work on and around the farm, I still need extra cardio to get my heart rate up. I’m at the point in my life where I’m not interested in punishing myself with exercise, so I try to find things I enjoy doing. I picked up a nice, used jogging stroller that I plan to walk my granddaughter in this summer, because I will enjoy that. Once again, taking care of your healthy will help you to get to your sustainability goals! 41. Learn the basics of good health – This is the stuff we all know, but rarely practice. We all know that we should drink 8-10 glasses of water a day, but do we ever do it? How about 4-5 servings of fruits and veggies per day? Do we really make an effort to feed our bodies what it needs or just give it lip service? The reason I discuss this is because poor health brings a couple of obstacles to the sustainability minded person. Sickness is expensive, just sayin’. Actually, it’s really expensive…and painful….and keeps you from your goals. Do some reading about health at your age and stage of life, maybe get a physical and make those changes, whatever they are. 42. Teach your children a strong worth ethic – Our children need to see what sustainable habits look like, so that they will have the tools they need when they grow up. This world doesn’t need anymore lazy kids. Work ethic, or lack thereof, comes directly from the home and the parents. 43. Embrace a working budget – Without a working budget and written goals, we would be wandering out there in “Financial Nowhere Land”. Budgets scare people, I felt that way as well, years ago. But believe me, there is freedom in having a “spending plan” (your new word for “budget”)! More about that here. 44. Pay off all debt, even the mortgage – Once you have a working (not perfect) budget or spending plan, you’ll be able to find those extra dollars here and there to pay down debt. As you cut expenses and find ways to save money, pay off all of your credit cards and student loans! It’s not easy, but it can be done with mutual agreement and hard work. My husband and I dug our way out a huge debt-load years ago. I understand the sacrifice it takes, but it’s worth it! The financial freedom is worth it! 45. Limit use of credit cards, only what you can pay off at the end of the month – Debit and credit cards are part of life today, and it’s difficult to avoid them. We purchase online frequently and can lose track of what we’ve spent until we see the bill at the end of the month. Establishing that budget (#43) will help you to decide ahead of time what expenses will be made that month, so that you don’t spend emotionally or spontaneously. 46. Talk to a financial planner about your future and retirement plan – As we conclude tax season, this is a great time to sit down with a financial advisor/planner. Why? Many reasons. First, are you paying too much in taxes? Are you taking advantage of all investments or other financial instruments available to you? Are you invested correctly for the long term? While you have all of your paperwork handy, take the time to map out some goals and get some good advice. We don’t have the benefit of pensions these days, retirement planning is more critical than ever. The best way to find a good financial advisor is to ask your friends/family for referrals. 47. Shop used – Oh man, do I hate paying retail for anything! While there are some things in life that I want to purchase new (mattresses come to mind) but I have saved so much money over my lifetime by not giving into retail. I buy used clothes, shoes, cars, equipment, appliances, furniture, etc. The money you save can go directly to your bottom line and pay off debt! 49. Go to the library – The library has everything you ever need to know about everything….for free (well, the cost of your tax dollars). Every magazine you could ever want is there or can be ordered through inter-library. There are even e-books now! The library will not only save you money, but it will educate you for free! Living sustainably requires a hungry mind, and that hungry mind can be fed well at the library. 50. Let go of the past – We all have a past. Some of that past has been good, but there are other parts that aren’t so good and perhaps very painful to remember. Sometimes the past holds us hostage, keeping us from living the life we would like to live. This has been part of my journey, obviously, or I wouldn’t bring it up. It takes work and maybe someone to help in the way of counseling. We can’t ever forget, but we can work through it and help the past to find it’s place. 51. Let go of negative people – Negative people can knock the wind right out of us and squash our dreams. This can be a really difficult way to live. I can only share from my own experience, but there are people who just don’t belong in my life anymore. This doesn’t mean that I hate anyone, on the contrary, I forgive as quickly as I can. I will always be kind when I see these people, but I won’t invite them back into my life if they don’t bring a sense of positivity. The older I’ve got, the more I realize that I am not responsible for anyone else’s happiness but my own (we’re talking about adults here). However, I am responsible for myself. If I’m not living the life I want, that’s my fault. 52. Work on your own mental and emotional health – Anxiety and depression are two of the most prescribed for conditions here in the US. There are many people who struggle with one or both, and these conditions will hold you back from living life on your terms. Since no pill will solve all of our problems, this leaves us to sort through the issues that leave us feeling anxious and depressed. This takes work and time out of your day. But again, getting ourselves free from what holds us back from our “best life” is a worthy endeavor. Talk to your pastor or priest, or make time regularly to chat with an understanding friend over coffee. Your emotional and mental health are important! 53. Find what you enjoy and do more of it – Do you love to work with animals? How about teaching children? Would you enjoy growing more of your own food? Would you like to fish or even teach people how to fish? As you get go of what’s holding you back, keep asking yourself what it is that you love to do….and figure out how to do more of it! 54. Laugh more, much more! – We all take life too seriously. If you want to be successful at anything for the long term, you’ve got to learn to laugh at yourself (talking to myself here). See the joy in the small things. Sustainability is a lifestyle, to be sure, but it requires our bodies, minds and hearts to be resilient! Laugh more as you improve your skill set, and don’t get in a tizzy when you have failures, because there will be plenty. Don’t beat yourself up! I mess things up all the time, and have lots of do-overs. That’s just the way life is. We don’t have control over all of life’s circumstances all the time. With that reality in mind, we have a choice. We can over-react and have a negative reaction to things or we can just giggle and try again…it’s all going to be ok. I promise. Hi Deborah, Thanks so much, I’m glad you liked it! Thanks for sharing! The “entertain” yourself suggestion was good, although once you start to be more self-sustainable, I don’t think I will have as much free time anyways. This is a very productive use of time. This was a good read! Gardening is such a great hobby. It would be wonderful if more people knew how. Hi Suzanne! I couldn’t agree more! Thanks for commenting! Hi Kelly! Good stuff! I love the information and the nuggets of knowledge you provide. You’re a very gifted writer. I need to make the time to nurture some gardening habits. You have really inspired me. I would love to meet one day and have a cup of coffee and good conversation. Hi Kali! I sure miss you! Thank you for your kind words and let’s make sure that coffee happens! Great, easy tips for making your life more sustainable! Thanks for sharing on Homestead Blog Hop! Thank you so very much for this article, or post, or whatever the proper, modern term now is. I have lived through most of the times and trends you have described, and I am still struggling with some of these problems. The only change that I would urge you to consider is that you replace “American” with “North American”. I am Canadian, but completely relate to the situations that you so eloquently picture. God bless you and yours, and may He help us to convey this so important message to our children and grandchildren. Hey there, Patricia! Thanks so much for reading and for your suggestion, I’ll look into that! Take care! This is an amazing page! Thanks for reading it, Sandra! Thanks Rita! Best of luck in your retirement! Fantastic post! We’re transitioning from living in SE Asia – where people make the most of so little- back to the American lifestyle. I don’t want to leave behind the simplicity of life here, but at the same time I’m excited about having some good ol’ American conveniences. This post will be a huge help to our family. Hey Diane! Wow, you’re in for a big transition! I’m sure your experience in Asia will change the way you see things for a long time! Best to you! I’m inspired! Thank you for sharing your wisdom. We have only recently started our ‘sustainable’ journey, but I am excited to implement many of your suggestions and am ecstatic to see that I can already check a few off the list! My goal this season is to learn to preserve our garden goodies. Hey there, Melissa! That’s so awesome! Check out your local extension office for food preservation classes! Excellent list of things to do to become more sustainable. My family does a number of these already, yet there are plenty we need to work on. I’m excited to see what changes we can make in the coming year to living more sustainably. Hey Sarah, thanks for stopping by!